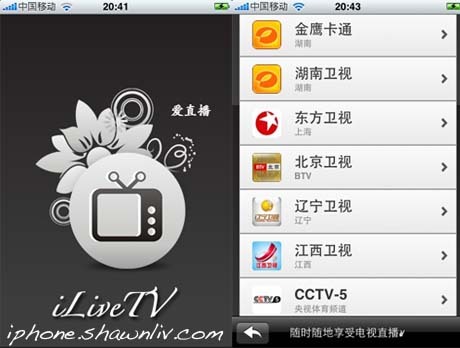 Yet another China live TV options that available on the iPhone. The apps work fine over wifi but generally live streaming is a big drain on battery life. Anywhere, iLive TV play live TV for many channels in Mainland China. But, some of the video feeds come in choppy or with audio syncing issues. Still, the app offers an impressive line up of live television channels, even if many of them are strange.